This project entails the renovation and expansion of the Takoma Park Library. To view the most recent concept designs under consideration in the FY18 Proposed Budget, click this link. The FY18 approved Budget contained funding for completion of the concept design, detailed design development, construction of a renovated and expanded Library, and relocation of collections and services during construction, at a total cost of approximately $7,000,000. In March of 2017, the City was awarded $150,000 in Bond Bill Funding. In June of 2017, following two public hearings on the Budget, the City Council voted unanimously to approve funding for the Library Renovation, and the subsequent borrowing of $7,000,000. through the Maryland State infrastructure Loan Program. A schedule of loan payments is here included. In 2018, schematic design was begun, and a site survey and engineering study were completed. In the examination of the built environment and the engineering report, it was determined that the City needed a flood plain delineation study to ascertain whether the current flood wall (which was planned to be incorporated into the expanded Library building) was adequate. 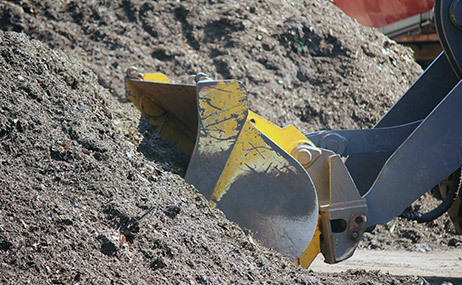 A preliminary report was concluded in August of 2018, and submitted to the Montgomery County Department of Permitting Services for review. Based on the conclusions of the flood plain study, it was determined that a higher elevation for the Library was needed. The architect has subsequently submitted design options for a library building that would meet the elevation criteria but would preserve the same footprint. 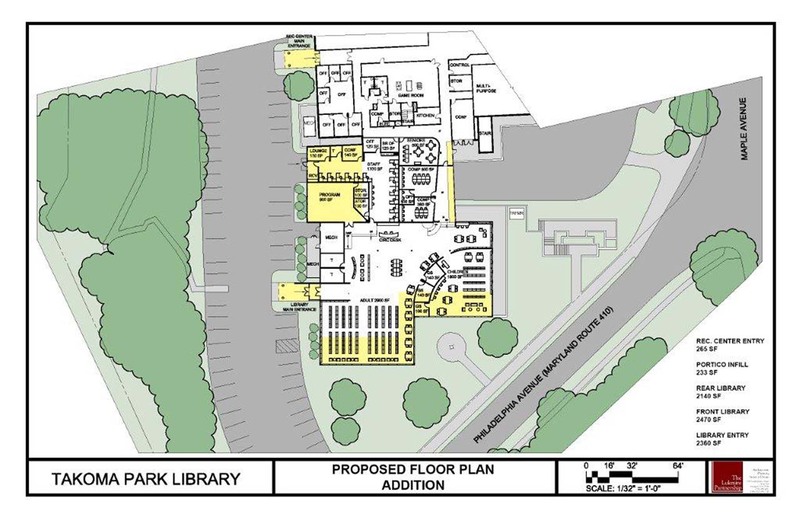 In their FY16 budget, the Takoma Park City Council provided the opportunity for significant improvements to the Takoma Park Maryland Library facility, by approving funds for detailed design development focused on options for renovation and possible building expansion. This process comes after comprehensive space planning, Council presentations, public meetings, and the development of varied conceptual designs by The Lukmire Partnership. What follows are links, presented in reverse chronological order, to a series of planning measures, reports, and community meetings that have led, over the past two years, to the options currently proposed. The latest concept designs are also included ahead of the timeline. Please take the very short Library Renovation Survey after reviewing the Concept Designs & Renovation Options. August 2018- Preliminary Hydrologic and Hydraulic Report received. Permit application submitted to Montgomery County. March 31- City Awarded $150,000 Maryland Bond Bill grant. March 13- City officials participated in a Maryland Bond Bill Hearing to secure a $150,000 grant. January 5-Topographical and utility survey done by our architect. July 20 – The Lukmire Partnership has provided an Estimated Construction Costs slide. July 7 – Images and video walkthrough produced by The Lukmire Partnership detailing two design options that are currently under consideration in the FY18 Proposed Budget. For optimal experience follow the link above and select the “slideshow” option. NOTE: This walkthrough is of the earlier concept plan and not the two new options from the link directly above. October 29 – Greg Lukmire presented a modified concept design to the City Council, which incorporated their recommendations. 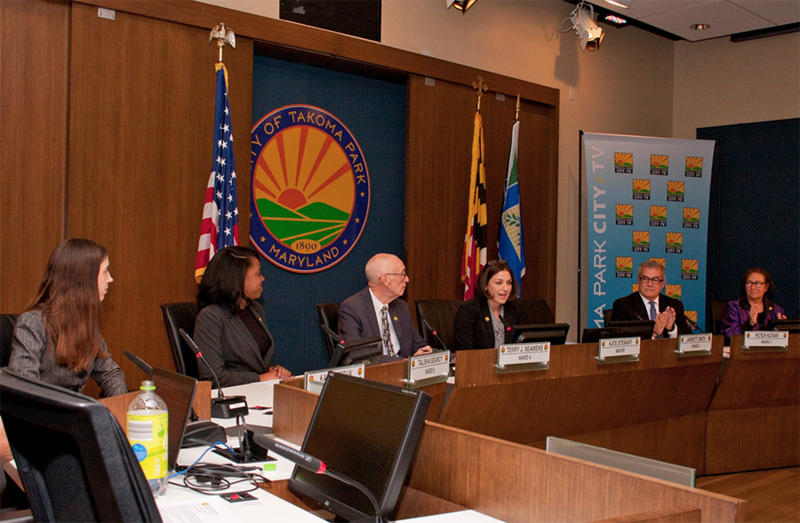 PowerPoint presentation to the Takoma Park City Council on October 29, 2015. February 9 – Final report of The Lukmire Partnership: “Design of Interior Space – Takoma Park Maryland Library” (PDF) This report details the entire process undertaken by The Lukmire Partnership in its contract with the City, its conclusions and recommendations, including options for Library renovation and possible expansion, with their costs. December 9 – Second Public Meeting with Greg Lukmire. (Video) At this meeting the space needs program of requirements, and renovation/ expansion options were discussed. October 8 – First public meeting with the Lukmire Partnership. (Video) There were surveys administered to the approximately 38 people who attended this meeting, asking what their preferences and priorities were for the Library space. Planning for additional and/or renovated space and re-design of the Library building. What is going on in Takoma Park? The Project Directory can fill you in! The Project Directory lists all major projects currently being worked on or planned citywide and includes need to know info for each.